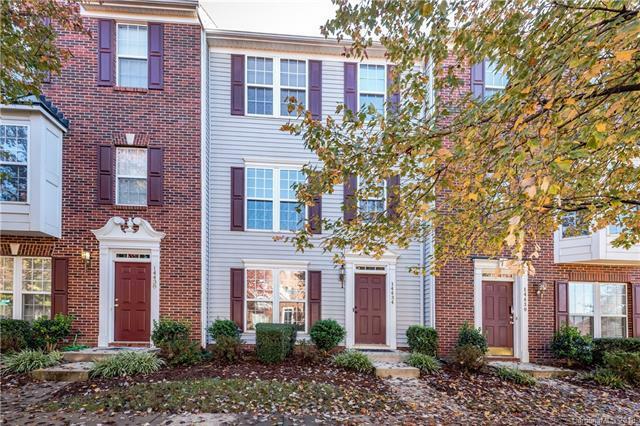 Look no furtherthis thoughtfully updated townhome has it all! The beautifully refreshed kitchen features white cabinets, butcher block countertops, farmhouse sink, subway tile backsplash, center island with additional seating & designer pendant lighting, & SS appliances. French doors from the kitchen lead to the back deck. Enjoy entertaining in the main level great room which opens to a formal dining room. Wood laminate flooring can be found throughout the main level and the lower level hallway. The spacious master bedroom suite boasts a tray ceiling, large walk-in closet, and attached bath. The lower level offers a flex space that can be used for an office, den, or playroom. Vivant Smart Home system allows you to control the HVAC, doorbell camera, smart lock, & garage door remotely. Refrigerator, washer and dryer to remain. Enjoy the areas shopping and dining options just a short distance away.